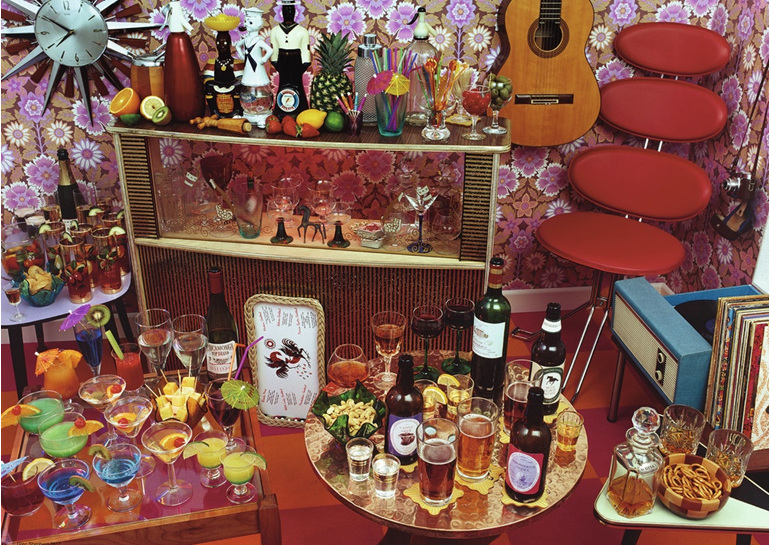 Description From the genuine 1970s wallpaper to the cocktail bar, pineapple ice bucket and the stylish chair, there's plenty here to keep puzzle fans amused and entertained!The stunning photograph by Devon-based photographer Greg shepherd takes us back to the cocktail parties of the 1970s, when kitsch was cool! Do you remember "sun burst" clocks and the much sought after soda syphons? Did you have your very own home bar, from where you could serve cocktails, cognac, beer and snacks? Take a trip down memory lane and rediscover the tastes and styles of yesteryear. 1000 pieces 70 x 50 cms.